Julia is a top notch surgical assistant with years of experience in Oral Surgery. She was born in Ukraine and moved to the U.S. in 1996. She has worked in the field of dentistry since 1998 and in Oral Surgery for the past 15 years. 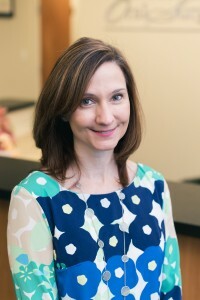 She is very knowledgeable and is a great asset to our practice. Julia has a warm and caring manner that always makes her patients feel at ease. Outside of work, Julia loves nothing more than spending time with her family. She is actively involved in her Church community. She is also extremely talented at all things crafty. Lauren currently works at the Front Desk and her smiling face is the first one that will greet you when you come for your appointment. She began working at Truitt Oral Surgery as a surgical assistant, so she is very knowledgeable about all the procedures performed here. She came to our practice with experience in general dentistry and great enthusiasm to learn and work hard. She has been a great asset. Outside of work, Lauren is a newlywed. She is a dog lover. She loves to spend her free time outdoors whenever possible and loves to travel. She and her husband are also both experienced scuba divers. Sara works in the front office and has years of experience in Oral Surgery. She is extremely knowledgeable about dental and medical insurance, ensuring that your benefits are maximized. She was born in Germany and has lived in Richmond for most of her life. She has ten years of experience working in Oral Surgery as a surgical assistant and insurance coordinator. When not working, Sara spends her time with her husband, two daughters and two family dogs. She is a newlywed and she and her husband love to travel and try new restaurants. Jenny works at the front desk and came to us from the medical field. She is a nurse and has many years of experience working in a doctor’s office. She is familiar with all aspects of patient care from insurance benefits to answering questions regarding care. She is a life-long Richmonder. Outside of work Jenny is a busy Mother of two. She loves spending time with her family (which includes her husband, Dr. Truitt!) and working out at Barre classes.